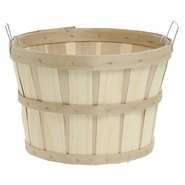 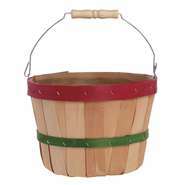 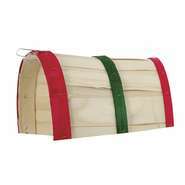 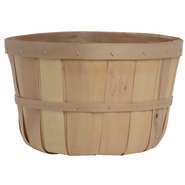 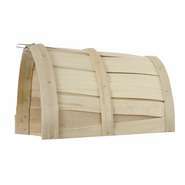 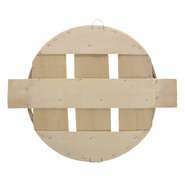 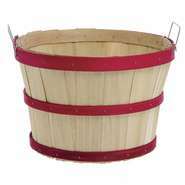 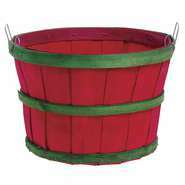 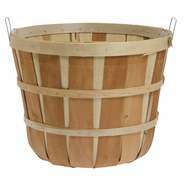 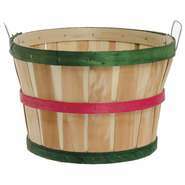 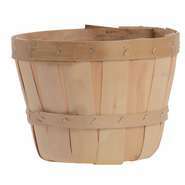 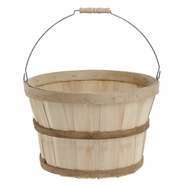 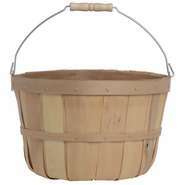 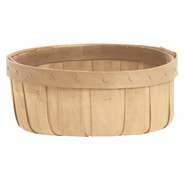 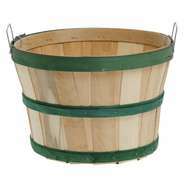 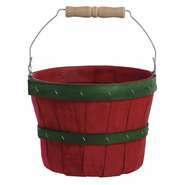 Bushel baskets, also known as peck baskets, add a quaint country charm to any food retail environment. 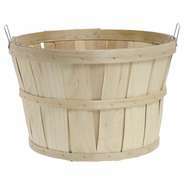 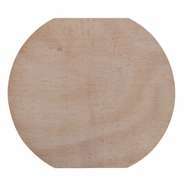 The rustic wood design creates a fresh from the market feel. 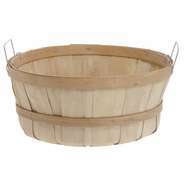 Apple bushel baskets are not only functional for merchandising produce, they can be used for a broad spectrum of purposes. 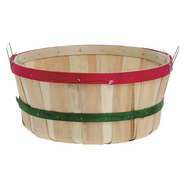 Use old-time bushel baskets to create pre-made gift baskets for holidays, birthdays and other special occassions. 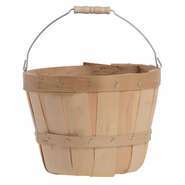 Harvest baskets also correspond well with seasonal themed sales and immediately bring a rustic feel to your display. 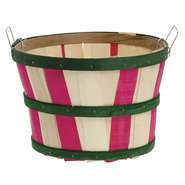 Or, fill bushel baskets to the brim with bulk nuts or your most popular packaged and wrapped candies for shoppers looking to satisfy their' sweet tooth. 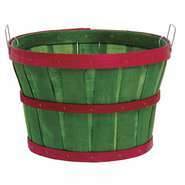 False bottoms can be used to decrease shrinkage while maximizing sales. 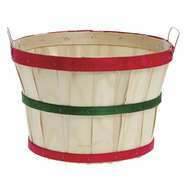 We offer a wide range of display baskets in various styles and sizes to accommodate your specific needs.